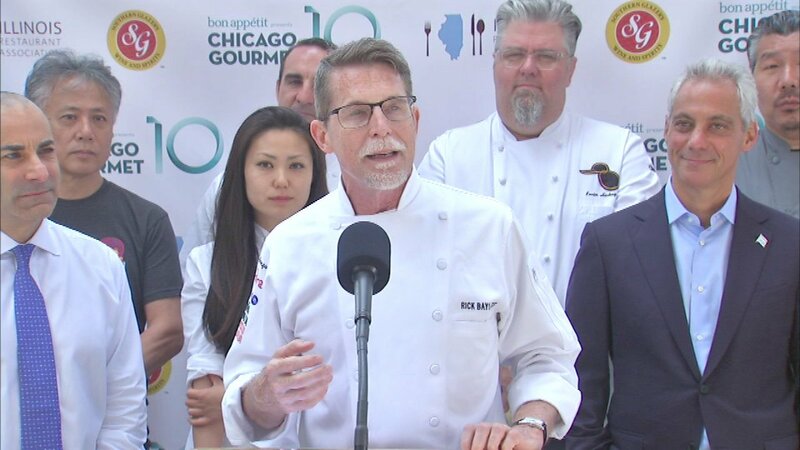 CHICAGO (WLS) -- Bon Appetit magazine announced Chicago Gourmet is returning to the city for the 10th year. The big event puts the spotlight on the Chicago restaurant industry. It has grown larger each year, and draws thousands of foodies to Millennium Par for a showcase for the finest foods, wines and cocktails from Chicago and across the nation. "It brings chefs together. It puts a light on us. It allows us to celebrate together as a group where we have come from, and to challenge each other as chefs to take the next step to go up in the ranks," said Chef Rick Bayless at a new conference Tuesday. Chicago Gourmet's main event takes place September 23 and 24. Tickets go on sale June 22.